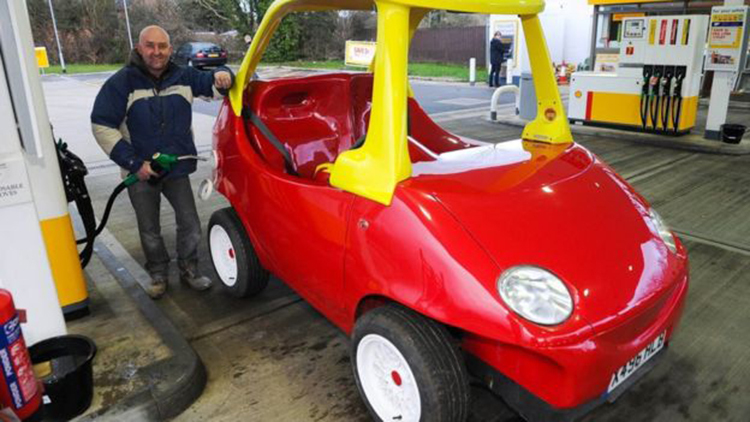 A real life, grown up, version of the "Little Tike" has gone on sale for £21,500. 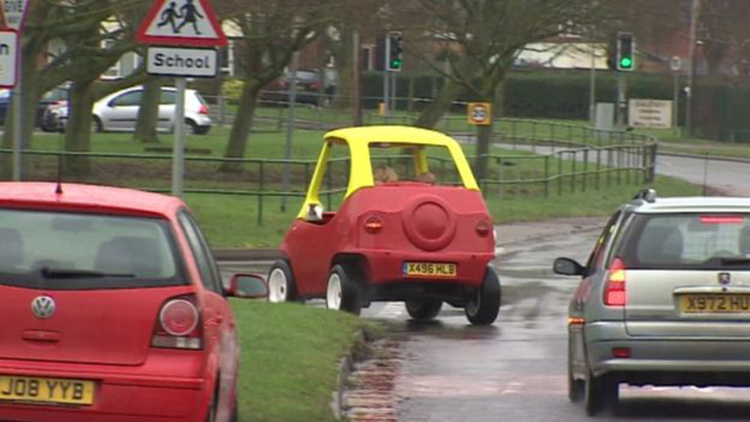 Brothers John and Geof Bitmead constructed an adult-sized copy of a Little Tikes toy car, which is road legal and has its own tax disc. The car, with a child's "Little Tike" for comparison. 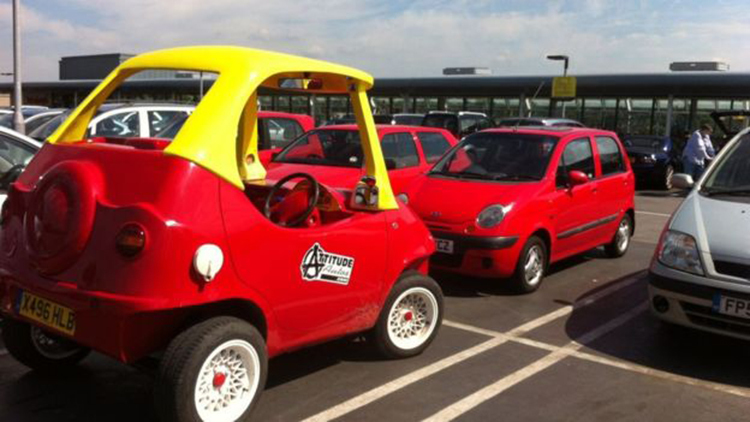 Unlike the children's toy, the modified Daewoo Matiz also includes an airbag, headlights and mirrors. Suddenly the kids version sounds like a death trap. 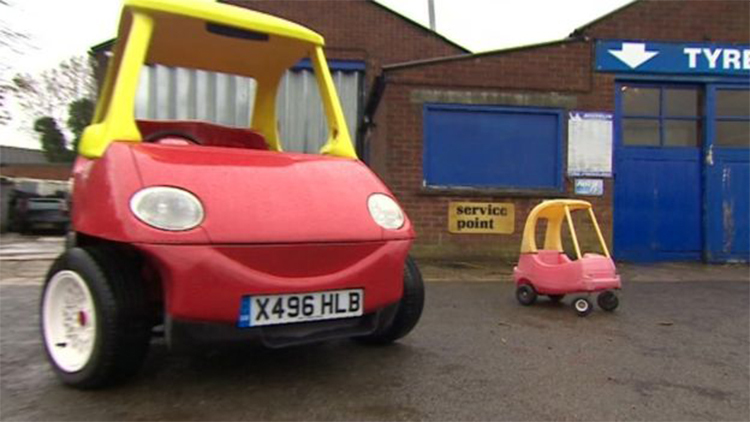 Despite being incredibly cool, the car failed to turn the brothers a profit, as it cost them £30,000 to build it. "We were hoping it would be out on a regular basis, create some revenue and recoup the money used to build it," John explained. "But in real life it ended up going out four or five times in two years. So we thought we might as well sell it and if anyone's interested in buying it that will bring back some money for us." The car runs on petrol rather than the kids version, which required your big brother to push. The brothers decided to build it after they spotted the similarity of the headlamps of the Daewoo to the children's car. Though it hasn't been as lucrative as they hoped, they have been pleased with the reaction of passers-by. "They're amazed to see the real thing on the road. I've seen people with tattoos all up their arms walking along the road just cheering at us. "There was that kind of response to it. Everybody recognised it. It's part of our life. We see these things in people's front gardens, and now you can see it on the road." The car is ideal, but you may get pulled over a lot by police driving a lego car. The brothers will put the money received towards creating an Addams Family-inspired "creepy" camper van. In more news, Westlife songs are being used for torture by the CIA, a tactic that has been used by Student Unions and Westlife for years..